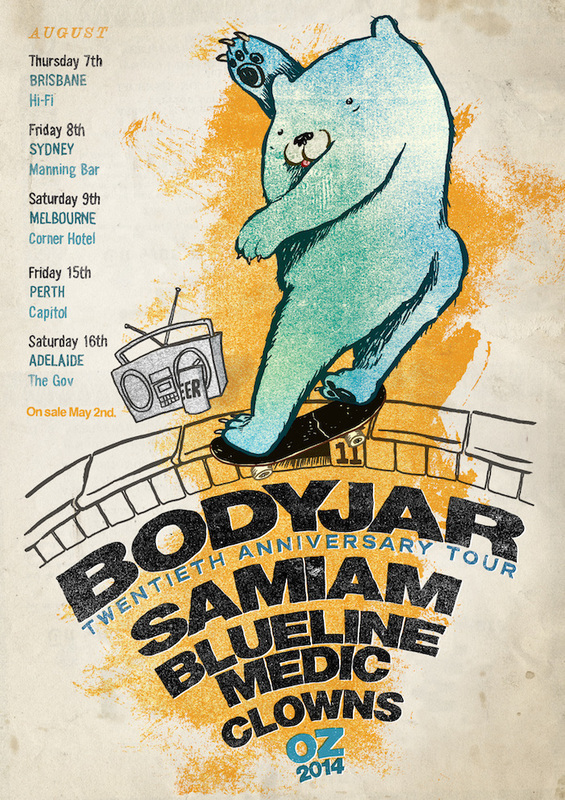 To celebrate their 20th anniversary, Bodyjar are bringing the party to you, and couldn't do this without asking some of their best mates to join them and form one of the best punk rock line ups seen in Australia for a long time! Samiam from Berkley, California, have been long time friends of the guys in Bodyjar. They are punk royalty, and everyone will be stoked that they are heading down under to join the party. Blueline Medic are also dusting off their guitars and jumping in the tour van for a very rare lap of the country, to celebrate the Jar’s 20th Birthday! Last but not least Melbourne young guns Clowns are rounding off this awesome line up and I'm sure will pick up many bad habits from the iconic bands on after them!